Coal has been used by man for several centuries as a means of warmth, transportation (via Watt’s steam engine) and most recently electric power. It is currently used nearly exclusively for the generation of electricity in the US (in 2001: 86% of total US coal production). It has always been claimed that coal makes good economic sense because it is both cheap and abundant (both economic variables). As for factors that fall outside of this – how do we measure these in an economic sense? Perhaps we should just leave them by the wayside, or dust them under the carpet? Out of sight, out of mind? 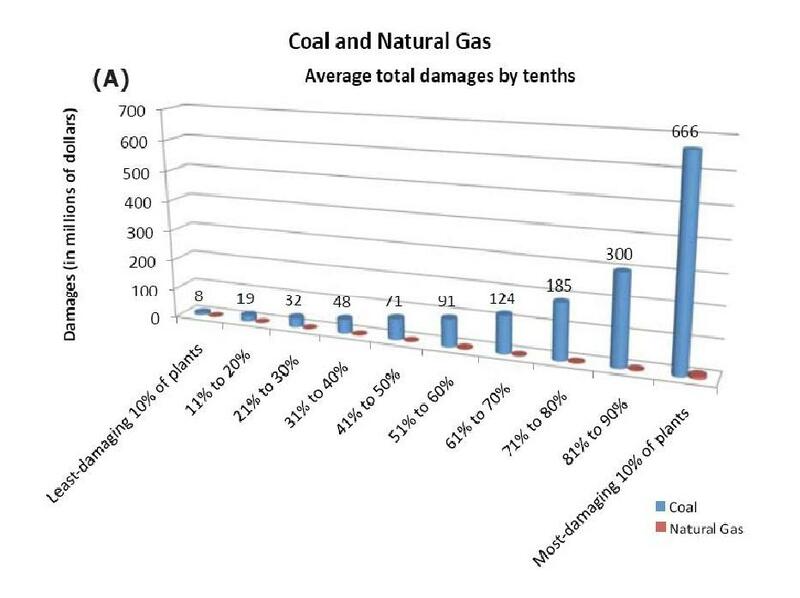 In this blog, let’s consider some of the external costs of coal. Modern civilization is heavily dependent on energy from sources such as coal, petroleum, and natural gas. Yet, despite energy’s many benefits, most of which are reflected in energy market prices, the production, distribution, and use of energy also cause negative effects. Beneficial or negative effects that are not reflected in energy market prices are termed “external effects” by economists. In the absence of government intervention, external effects associated with energy production and use are generally not taken into account in decision making. Interesting, and perhaps even a bit understated. The point is that externalities exist within our energy-economic system, and by keeping them external they can have fairly serious consequences. (1) Classical Pollutants: Particulate Matter (PM), SO2, NOx, as well as other pollutants such as O3, CO, Benzene, Benzo-[a]-pyrene, and a host of other tongue-twisting compounds. These have negative effects on health through cancers, respiratory disorders, and a general decrease in life expectancy. They can also have a negative effect on building materials (acid damage), crops (yield reduction, acid deposition), and ecosystems (eutrophication). (2) Greenhouse Gas emissions: CO2, CH4, N2O, and others. Contributes to climate change. 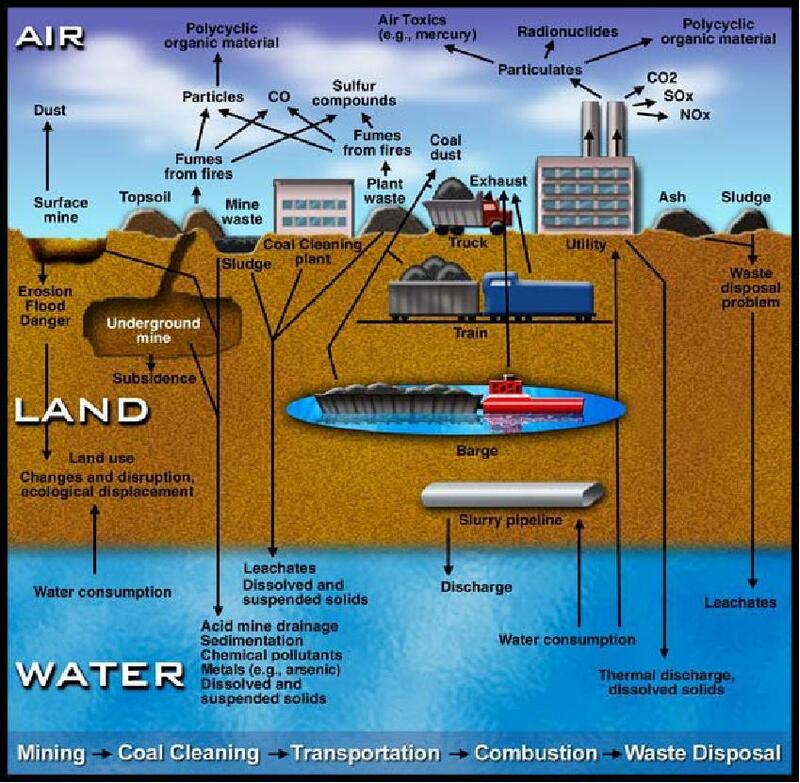 (3) Direct Environmental Damage: Mountain-top removal mining (MTR), Strip mining, etc. Mining causes irreparable damage to the local land and water resources, and can lead to chemical spills as a consequence of the mining. (This information was taken from a similar European Report, published in 2003). Looking at the same data, we can see the relative little external costs of wind or hydro power (renewable energy sources). There is quite a lot of crying these days about subsidies for renewable energy, and how these forms of energy are too costly to be feasible. However, as this report points out, if we were to look at all of the costs of conventional coal power (internal and external) at least we would have a more level playing field. Perhaps then wind, solar and other renewable energy sources would be better able to compete? (This discussion ignores both the fact that coal is a finite resource and that there are huge subsidies given to coal companies each year – other matters altogether). By continuing to allow the torrid growth of coal in the next two decades, how much more damage will be left out of the equation? You can work out the economics of that one.